May came and is now ending with humidity high day. It been either really sticky out or a bit rainny but I will take the warmer temps over what we had when started in April. May seem to have swished with April for a bit as April was warm and May was rainy for first half of the month. It seems it getting back to normal and I will take it. Let bring in June. I have hit a low but of only two books read. That was early in the month. I am blaming the sticky weather for not finishing a book I am reading now and I should have had finished. I am either tired or the weather got to me. That what I am claiming where it true or not I do not know. So for the month of March, I have read a total of 304 Pages. You can see what my total for the month by book below. So Far for the 2018, the Total Pages Read is 6,190 Pages. That is a total of 5 months of this year. Take look at the total per month below. So Far as of 2018 the Total Books Read are 23 Books. What was written and posted in May. Some of the books were read in 2018 and that is way you are see them posted in May of 2018 as for I choose those dates for the tours. You will that I have Reviews that will be posted this year that go to book that were read before 2018. Though I am trying to keep up with current reviews with book read this year there are some from back log. I just did not get to write the review. They will be marked. Happy Memorial day? How was your Reading Weekend? Deborah Harkness saved her younger sister and two toddlers during the attack, and now finds herself at the mercy of her rescuer. Trace offers the only shelter for miles around, and agrees to take them in until she can safely continue. His simple bachelor existence never anticipated kids and women in the picture and their arrival is unsettling–yet enticing. Working to survive the winter and finally bring justice to the trail, Trace and Deborah find themselves drawn together–yet every day approaches the moment she’ll leave forever. Are you a person would would like to see what an wagon trail is like. Learn about it some what. Well you get glimpses of it though the accidental guardian. You can see what it like to be a survivor of a wagon train. We find out about Tracy Riley and some of his past. He has to protect not only woman but also two children. They are survivors of the wagon train. We seem to be following more of Deb's story rather then her little sister Gwen and the children. 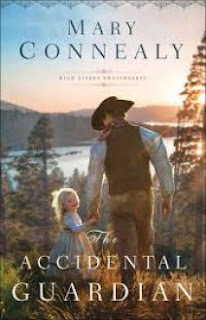 Though maybe in the second book we learn more about the children and Gwen story. Deb is adventurous and Trace and seem interested in Tracy from the beginning. Trace put Deb in his bed that first night. Is there romance between them or not? 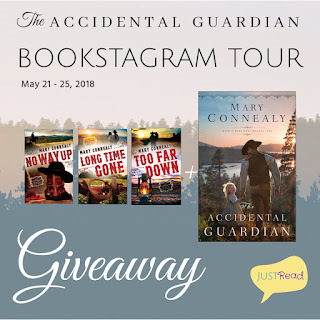 To Enter: Follow me (You), @maryconnealy and @justreadtours. Like this post and tag 3 friends in the same comment that might like to enter. For more entries, head to the other stops on the tours and do the same thing. For the list of stops, check out the original image on @justreadtours. US/Canada mailing addresses Only. Instagram is not affiliated nor responsible for this giveaway. Giveaway ends at 11:59 PM EST on 5/27/2018. This is not my normal review posting. Nope. Not at all. It’s letting you know what’s happening in coming days around the blogosphere. 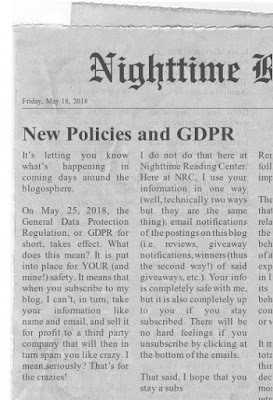 On May 25, 2018, the General Data Protection Regulation, or GDPR for short, takes effect. What does this mean? It is put into place for YOUR (and mine!) safety. It means that when you subscribe to my blog, I can’t, in turn, take your information like name and email, and sell it for profit to a third party company that will then in turn spam you like crazy. I mean,seriously? That’s for the crazies! I do not do that here at Nighttime Reading Center. 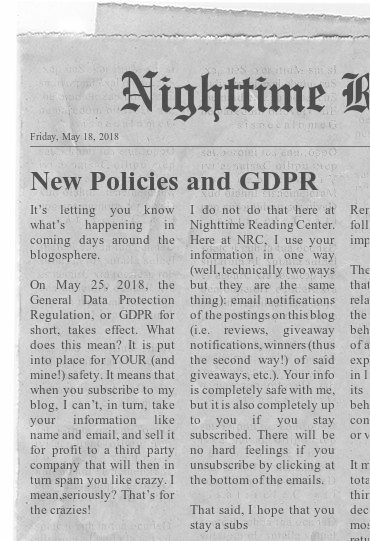 Here at NRC, I use your information in one way (well, technically two ways but they are the same thing): email notifications of the postings on this blog (i.e. reviews, giveaway notifications, winners (thus the second way!) of said giveaways, etc.). Your info is completely safe with me, but it is also completely up to you if you stay subscribed. There will be no hard feelings if you unsubscribe by clicking at the bottom of the emails. That said, I hope that you stay a subscriber to this blog! So, that concludes this post. I hope to still see you as a subscriber, as I love and value you all! Thank you for being a loyal part of Nighttime Reading Center and I can’t wait to keep you posted on some great upcoming releases! Angel on Assignment: Move over elf. It's time to share the shelf. 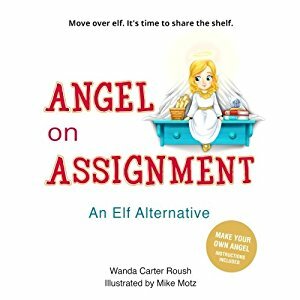 Description: 2017 Gold Medal Christian Book Award Winner ~ "young kids" category 2017 Bronze Medal Readers' Favorite Book Award Winner ~ "christian-general" category If your family loves the Elf on the Shelf and you want to keep the fun going, check out Angel on Assignment. It's a children's activity book that offers a Christian alternative to the elf, teaching children about the angels who watch over them, not just at Christmas but all year long. With beautiful illustrations and rhyming verse, Angel on Assignment takes readers through the angels' roles in the Christmas story and presents the ways guardian angels look out for boys and girls today--and how children can act as angels in disguise for friends who need help. See how many angels your child can find--some are hiding! At the end of the book, you'll find detailed instructions for making your own angel. When you're finished, you can introduce your angel to your elf and let them keep an eye on things. Then post a photo of your creation to the book's Facebook page, and check out the angels that other families have made! Looking for a book that you can do with your young children or readers. Angel on assignment is a good one. It got a craft that will let your readers or young children create an angel to sit on a shelf. It tell the story of Jesus and the meaning about angels mostly. Angels are around us everyday and everywhere. We just may not see them until we need them. They are there protecting us and helping us when we need them. All we have to do is ask our lord. The pictures are down well. The author portray and help teach us and children about angels. This is good for any age group. Parents if you want to get a book that you want your children to learn about or be taught this book is one for them. Even if you do just want it for yourself. It good to have around. 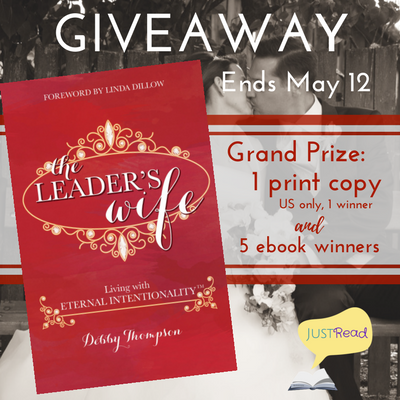 Welcome to The Leader's Wife blog blitz and giveaway, hosted by JustRead Publicity Tours! As a woman leading a life of influence, you may find yourself without sufficient clarity or equipping for the challenges you face. 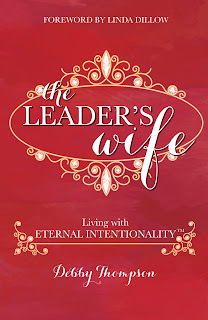 For many, the role of wife of a leader is one thrust upon, rather than chosen. For others, it is a responsibility embraced but no less complicated to navigate. In either case, as one sharing a journey with a world-changer, this book is for you. 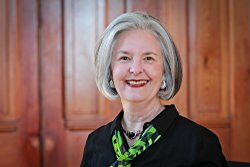 Debby Thompson has spent decades listening to the voices of tried and tested women, and her experiences have instilled a sense of urgency in her to pass on the insights she has gleaned. 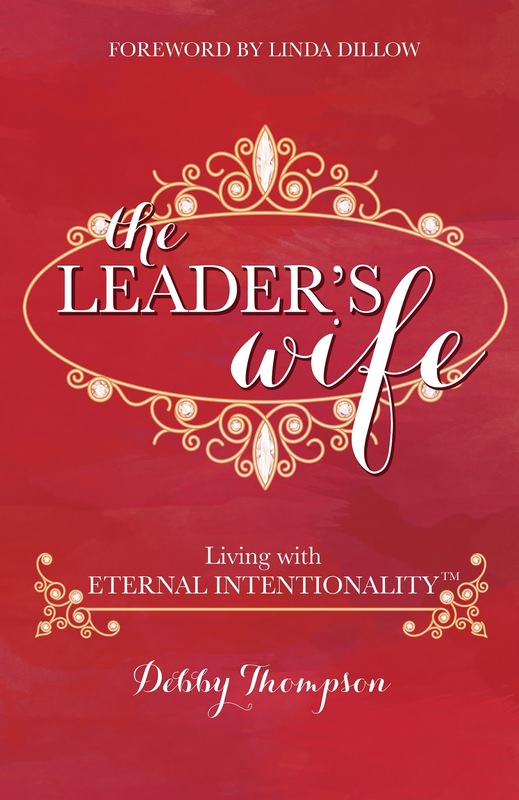 Within The Leader’s Wife, she addresses some of the most difficult questions facing wives of leaders. With vulnerability and candor, Debby speaks from her own mistakes and discoveries. The Leader’s Wife offers not a job description but a GPS. It is a blueprint—without how-to’s and ought-to’s—for igniting within you what the Creator has already designed. The Biblical teaching, personal stories, and hard-won lessons Debby communicates will guide and empower you to live with eternal intentionality. Debby Thompson and her husband Larry have served in global missions with Campus Crusade for Christ International since 1974, and are counted among the pioneers of Western missionaries who lived covertly behind the Iron Curtain in communist Poland. In total, the Thompsons spent 33 years in Eastern Europe, witnesses to a period of dramatic social, political and spiritual change. Now living in Cincinnati, Debby is a speaker, writer, and mentor for women around the world. Enter via the Rafflecopter giveaway below. Giveaway will begin at midnight May 5, 2018 and last through 11:59pm May 12, 2018. Winners will be notified within a week of close of the giveaway and given 48 hours to respond or a new winner will be chosen.